Chetan Chandra and Aishwarya Shindogi starrer, Kannada movie Samyuktha 2 hit the theaters today on 10th November. Horror suspense thriller is directed and written by Abhiram while Manjunath D. S. is the producer of the movie. The music is given by the K. V. Ravichandran. Table Nani, Neha Patil, Devraj, and Sparsha Rekha are also seen in the main roles of the movie. 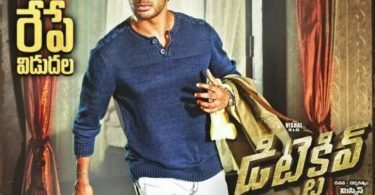 Tollywood super start, Chetan Chandra is in a lead role in the movie and having too much expectation with the movie release. The Kannada movie Samyuktha 2 is not a sequel to the movie Samyuktha which was released in 1998. Samyutha 2 is horror story revolved around on a soul in a college campus having interesting narration. Neha Patil and Aishwarya Sindogi played the role of students of same medical college where the soul is existing. The movie is filled with science fiction, suspense, and thrill. The movie has graphics of about 38 minutes. Actor Chetan Chandra has gained weight for the movie which makes the movie more interesting to see. Chetan, Aishwarya and their friends, search a depth of the story related to the soul with lots of danger and problems which create suspense in the movie. Watch out your favorite superstar Chetan Chandra, in a new look and enjoy the suspense of horror film on the big screen from today onwards with your friend and family.